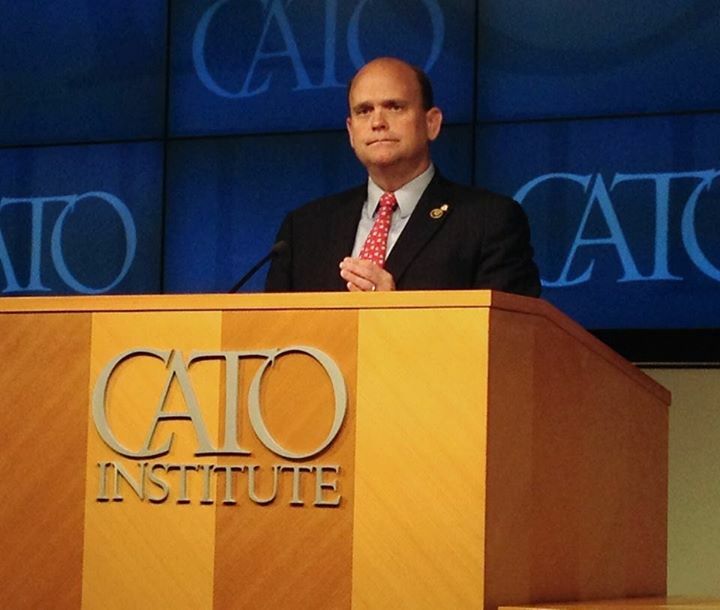 Tom Reed called the Greek debt crisis a “stern warning” to America, advocating for the Federal government to live within its means and move toward a balanced budget. The Greek people voted to reject austerity–a wise move. Cutting spending when times are bad only makes things worse. Reducing debt when times are good makes sense; trying to balance the budget when times are bad is irresponsible as well as likely impossible. Is America like Greece? Of course not. America is a large, rich country, Greece a small poor one. Is Greece in trouble due to borrowing? No, they are in debt because of a world-wide economic collapse which was particularly tough on Greece and other small European countries. Reed went on to advocate for elements of his Strategic National Agenda, calling for job creation, spending reductions and reforms that stabilize entitlement programs for the long term, specifically the Social Security Disability Insurance trust fund. No Labels’ National Strategic Agenda doesn’t call for spending cuts–that’s Reed’s idea. To stabilize Social Security Disability, Reed would cut benefits to the disabled–austerity for those most in need of help. No, the situation in Greece is due to world-wide recession which lasted longer than expected. Now is the time to invest in America rather than the time to push austerity on the disabled. For example, the Social Security Disability Trust fund will reach insolvency in 2016. If Congress fails to act by the deadline, disabled beneficiaries will see an instantaneous 20 percent reduction in payments because of the failure in leadership to address this impending crisis proactively. Earlier this Congress, Reed sponsored a rule preventing the Social Security Retirement fund from being raided to bail out the Social Security Disability Insurance fund. Reed’s rule isn’t helpful–it blocks needed action by the Obama Administration while Congress does nothing. It hardly matters to the disabled if benefits are cut due to inaction or by a deliberate move to cut benefits as Reed suggests. If Tom Reed really cared, he wouldn’t keep trying to cut spending on programs that address peoples needs. If he were really a leader, he wouldn’t invariably follow the Republican Party line. This entry was posted in Congress, Economics, Political, Reed's Views and tagged austerity, balanced budget, Greece, Puerto Rico. Bookmark the permalink. You are right on target. A radio discussion about Greece this morning brought up that Germany wants to have Greece raise their retirement age. That is exactly what Jeb (and others) have been preaching about Social Security. When we get closer to the time that SSDI will pay only 80% of the disabled benefits, Reed and his buddies will be comparing Us (US) with Greece. Thanks for the heads-up.